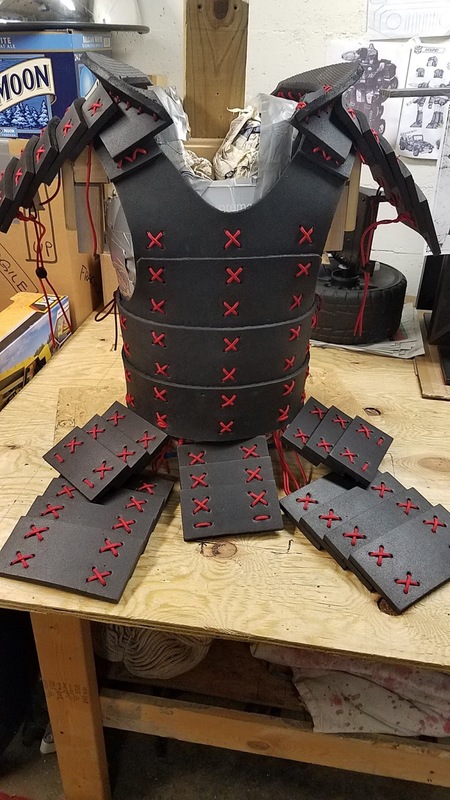 Armor completed, went through nearly 200 ft. of red Paracord to tie it all together. 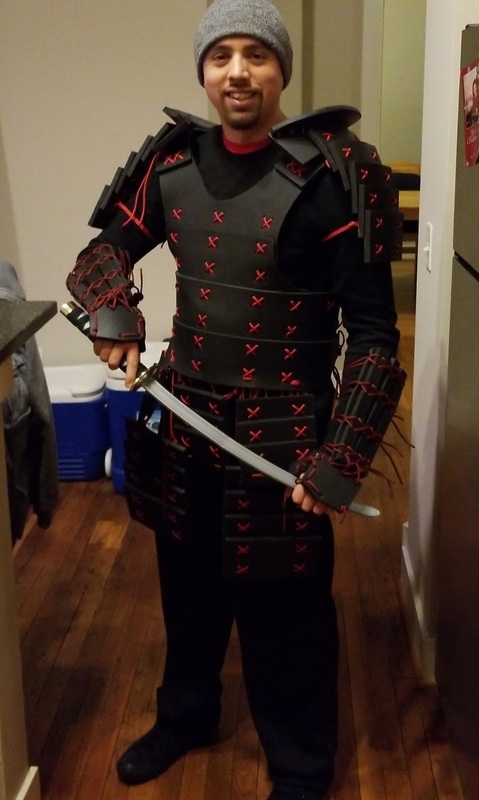 The whole suit turned out better than I thought. The forearm sleeve armor piece "KOTE" turned out awesome. 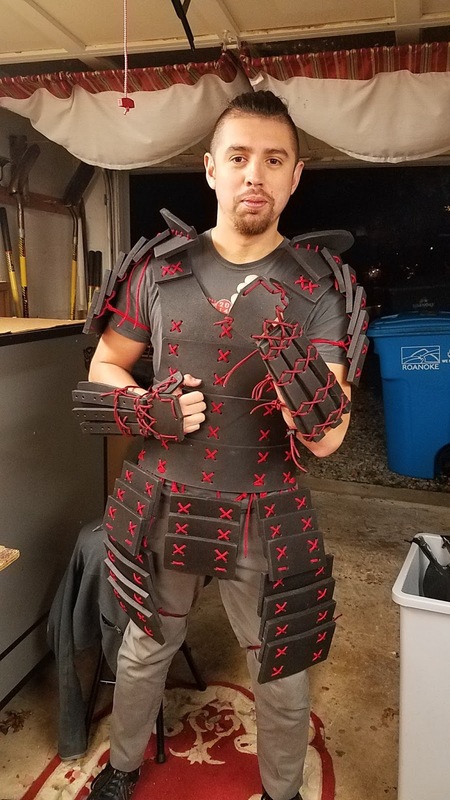 My coworker Ramon was totally excited to have it done for Halloween. Working with this foam (for the second time) I found it is great for simple cosplay material. I also checked out Plasti-Dip website and discovered they have a plethora of colors available.